An ally of a who’s who of revolutionaries like Patrice Lumumba, Amilcar Cabral, Oliver Tambo, and Kenneth Kaunda. 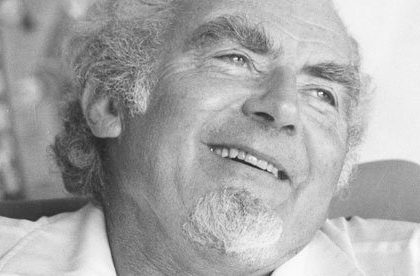 The American activist, George Mills Houser, who passed away this month at 99 years of age, while not widely known, was central to civil rights and racial justice struggles in the United States, and especially to liberation movements against colonialism and Apartheid in Southern Africa. In the hours immediately after his passing, members of the community who fought apartheid and colonialism began sharing the news. The first prominent obituary, though, was by the New York Times. A few days later, the Washington Post published an obituary. These articles, predictably, offered great praise—and justifiably so—but equally predictable was the slant: leading with Houser’s impressive civil rights activity with CORE in the 1940s and spending almost no time on what he spent most of his life doing. 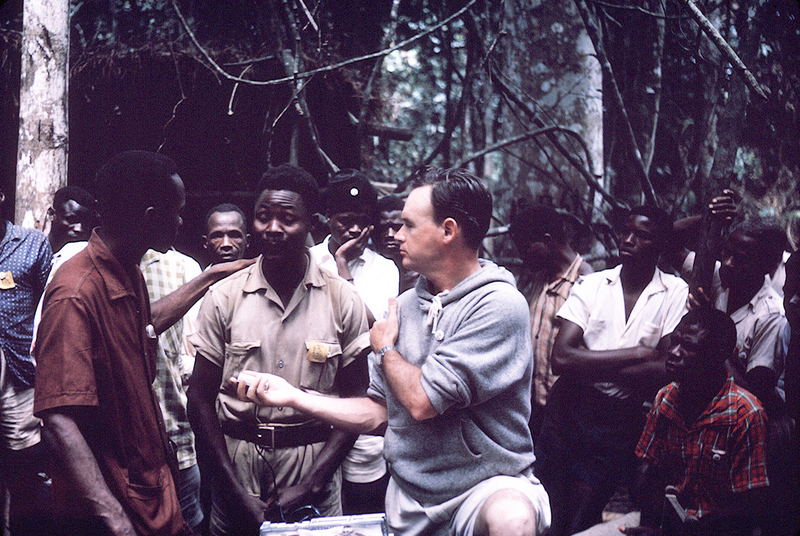 The New York Times, for example, committed two paragraphs to Houser’s Africa activism, when Houser spent the last fifty years of his life fighting on behalf of African liberation and though he saw these efforts as inextricably linked to struggles close to home. Houser helped found both the Congress of Racial Equality (CORE) and the American Committee on Africa (ACOA), two interracial organizations that ultimately advocated for the same ideals: black humanity and equality. For fifty years, Houser moved the proverbial ball forward while choosing to stay in the background. He did not need to grab the microphone to speak but, rather, was an ally of African Americans activists, like Bayard Rustin and James Farmer, and Africans, including a who’s who of revolutionaries like Patrice Lumumba, Amilcar Cabral, Oliver Tambo, and Kenneth Kaunda. Houser’s parents were Methodist missionaries so George, born in 1916, lived part of his childhood in the Philippines. His parents instilled in him a belief in the social gospel and a sense of internationalism. Following in his parents’ footsteps, he enrolled at the Union Theological Seminary in New York City. While there, Houser joined the international Christian pacifist Fellowship of Reconciliation (FOR) and took his first public step to protest war in 1940. Along with other seminarians, he refused to register for the military and served a year in federal prison. After his release, Houser transferred to the Chicago Theological Seminary. While in Chicago during World War II, Houser helped found CORE, an interracial organization committed to nonviolence, along with James Farmer, Bayard Rustin, Bernice Fisher, and a few others—most of whom became leading civil rights activists in the 1950s and 60s. Houser became CORE’s first executive secretary. In 1947, CORE and FOR planned the Journey of Reconciliation to test the previous year’s Supreme Court ruling in Irene Morgan v. Commonwealth of Virginia that banned racial segregation in interstate travel. Houser and fifteen other black and white men took buses across the South to see whether the Supreme Court ruling would be upheld. Predictably, this group found that, in numerous cities, their actions caused them to be harassed, beaten up, or thrown in jail. Rustin spent three weeks on a North Carolina chain gang for his part. If the Journey of Reconciliation sounds like the 1961 Freedom Rides, it is because the latter was a carbon copy. These struggles required different tactics. In his decades of work in solidarity with African independence, he did not shy away from supporting those who advocated violence. ACOA actively worked with all sorts of organizations across the continent that believed non-violence alone would not achieve radical change, in this case, the end of European imperialism. Rather, only by taking up the gun, as it were, would imperialists withdraw to their homes in the United Kingdom, France, and Portugal. When the ANC turned to armed struggle, ACOA continued to actively support the ANC. In 1952, South African activists, led by youthful firebrands in the African National Congress (ANC) like Nelson Mandela, Oliver Tambo, and Albertina and Walter Sisulu unleashed a Defiance Campaign to overturn apartheid, a series of racist laws and restrictions recently enacted (think Jim Crow on steroids). The same year Houser, Rustin, and others in the United States founded Americans for South African Resistance (AFSAR) on behalf of this struggle half a world away. In solidarity with the Defiance Campaign and the mighty support of Harlem’s most well known minister, Adam Clayton Powell of the Abysinnian Baptist Church, they organized a motorcade of dozens of cars that picketed the South African consulate. This 1952 action might have been the first anti-apartheid protest in the United States. 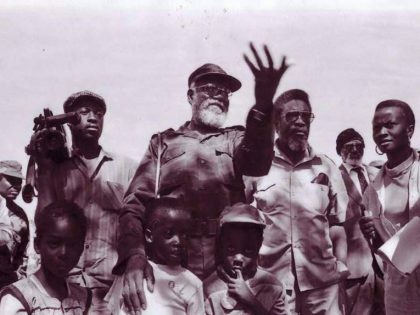 AFSAR gave birth to ACOA, an interracial organization committed to African liberation struggles across the continent. Houser’s first visits to countries in West and South Africa followed shortly thereafter; he had the chance to meet Chief Albert Luthuli, leader of the ANC, before Luthuli won the Nobel Peace Prize and was banned by his own government. Subsequently, Houser was forbidden to enter South Africa until the 1990s. No matter, he took dozens of other trips to the continent to support freedom fighters, often deep in the bush of countries like Angola and Mozambique. As Executive Director of both AFSAR and ACOA, he helped lead the single-most important US organization advocating for the independence of African nations. Acting in support of African activists on the ground, ACOA lobbied US presidents and the State Department on countless matters: Algeria’s nasty war against long-time French occupation, the Mau Mau uprising in Kenya (brutally suppressed), Ghana’s emergence in 1957 as a beacon of hope for Africans across the continent, among others. ACOA also provided funding and organizational resources for liberation struggle activists from dozens of African nations. Houser and the ACOA offered mighty support for those who wished to lobby the United Nations in New York City and connect with sympathetic allies across the United States. It was George Houser who introduced me to people who supported the African anti-colonial struggle. All of us who came to the United Nations or the United States during our campaigning for independence received help and encouragement from the ACOA. Essentially, any and every African freedom fighter who came through the United States—from Eduardo Mondlane of Mozambique to Kwame Nkrumah of Ghana—met with Houser and received help from the ACOA. Sure enough, one by one, imperialism fell and new nations born. The last of the great African freedom struggles was the forty-year, global fight to overcome apartheid in South Africa. 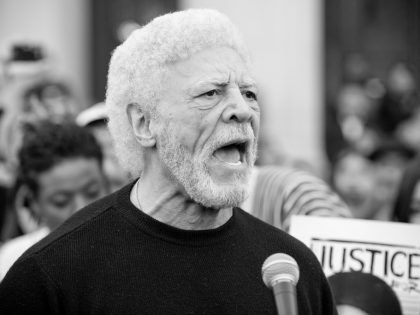 ACOA was an early and important supporter of disengaging, later known as divestment, from South Africa and played a major role in promoting cultural, economic, and sports boycotts—for instance, supporting long-time South African exile, the colored poet and activist, Dennis Brutus. ACOA also was deeply involved the sanctions movement as it grew across the US and in Congress, ultimately overcoming Ronald Reagan’s veto in 1986. Honoring his role in the struggle, South Africa presented Houser with the Oliver R. Tambo Order of the Companion Award, the highest honor the nation bestows upon foreigners, in 2010. This prize seemed particularly apt as Houser had been a personal friend of Tambo since 1960, when he went into exile to lead the ANC for the next thirty years. Although Houser, clearly, lived an incredible life, he consistently remained below the radar and behind the scenes. For more than seventy years, Houser fought for racial equality in the United States, the independence of dozens of African nations, and peace. He did not seek the limelight. He did not expect change to happen overnight. He did not stop fighting. Instead, like water over a stone, he continued to educate, organize, cajole, and support. The man was an organizer’s organizer, helping build movements but not taking much credit for himself. As a result, few outside the movement knew of him. While speaking at the fiftieth anniversary of the ACOA, Houser reminded us that we still have a long way to go. 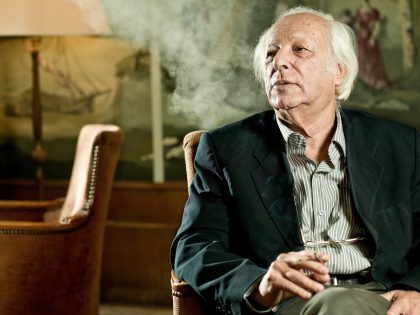 He chose to title his speech, “The struggle never ends,” the English translation of the Portuguese saying “a luta continua.” Uttered for decades by freedom fighters in Angola, Guinea-Bissau, and Mozambique in the face of a recalcitrant Portuguese military dictatorship, this saying became popular the world over in the 1960s and 70s. Houser is survived by his wife, Jean, their four children, grandchildren and great-grandchildren. He lived for ninety-nine orbits of the earth around the sun. A memorial was held for Houser on Saturday, September 19 at 10am at Friends House, 684 Benicia Drive, Santa Rosa on the Green. A second memorial was to be held on Friday November 6th in the chapel at Union Theological Seminary, 121st Street and Broadway, New York. It will be organized by the Fellowship of Reconciliation (FOR). For more information, contact Ethan Vesely-Flad of FOR [email protected].